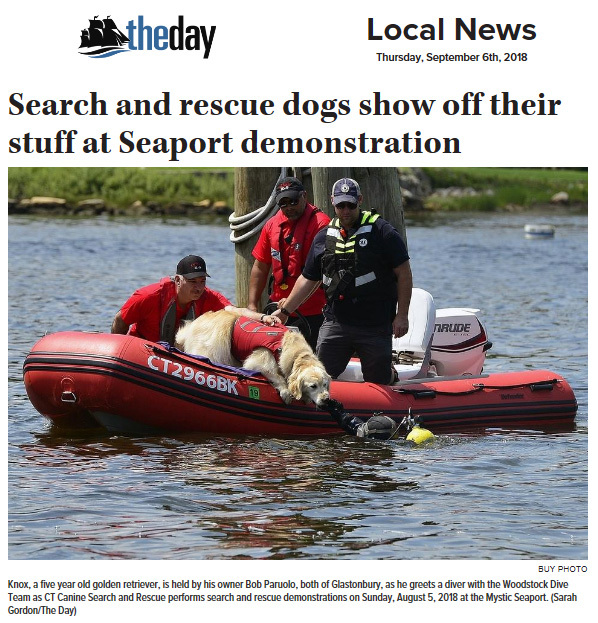 Many thanks to The Day of New London for highlighting our efforts training with the Woodstock dive team. 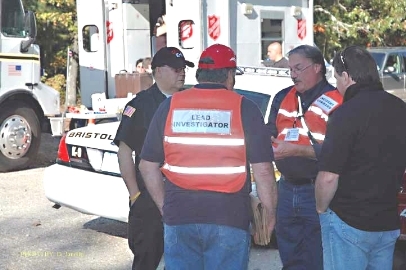 CCSAR's Annual Invitational Water Seminar provided excellent training to all participants. 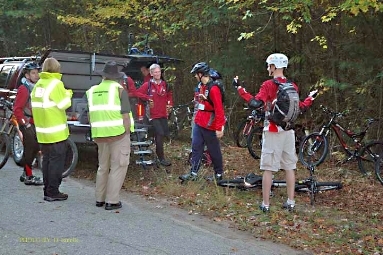 CCSAR, Manchester CERT, and Manchester Mountain Bike Search Team members all responded to a search assistance call in Suffield in September of 2017. 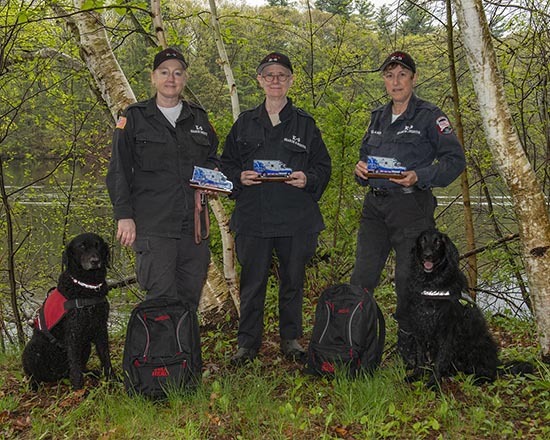 A missing person was located and the members above, Bree Berner, Marilyn Rice, and Marian Beland, as well as partners Sapphire and Ted, were presented with a "Hero Award" from Suffield Volunteer Ambulance, whose members also played a major role in this effective rescue. 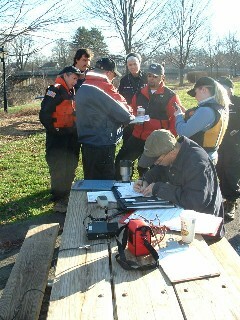 CCSAR's Invitational Water Seminar provided excellent training to all participants. 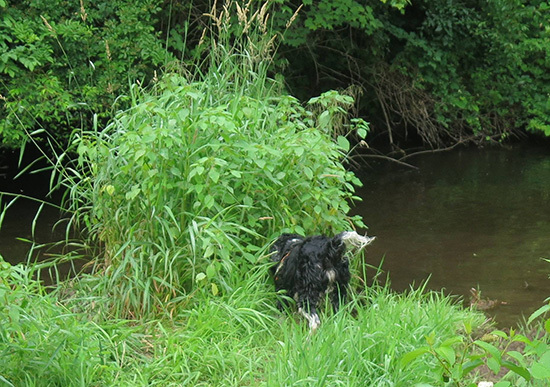 Ted works a more delicate problem amid the full fauna of summertime. 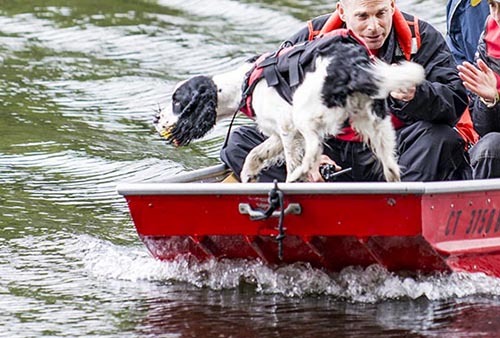 Summer is learning to work from various boats. Diamond is enthusiastic about her work. 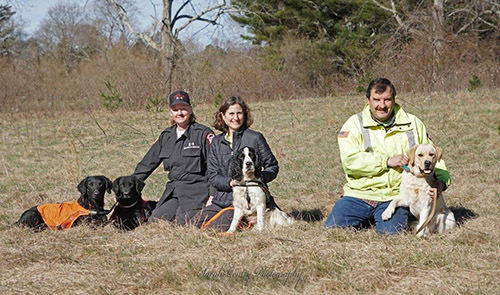 Team members were able to take advantage of professional training with Matthew Zarrella, American Patriot K9 Training. 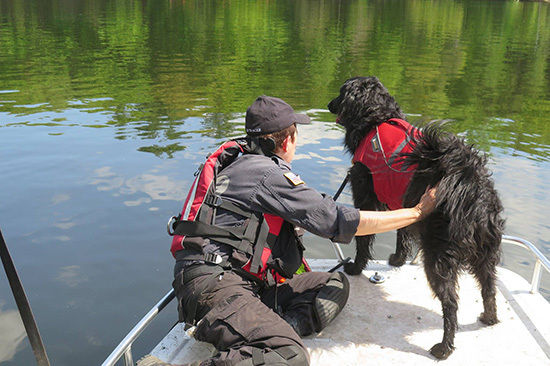 Congratulations to Team Ted who has added Water Search certification to their skills. 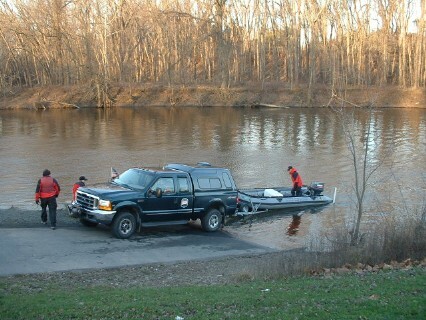 Congratulations also to Team Eres who is now certified for Water Search. 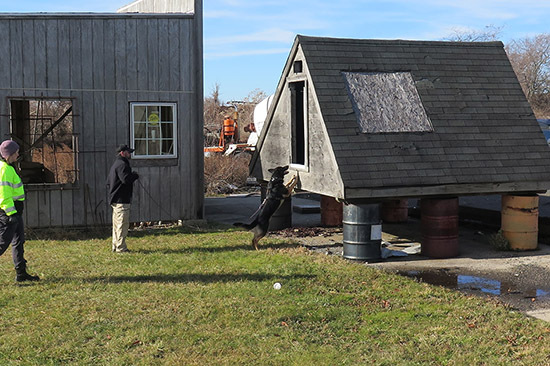 Certain team members were able to take advantage of professional training with Matthew Zarrella, American Patriot K9 Training. We were also lucky to be photographed by professional photographer Sarah Gentry. Photo published with permission. 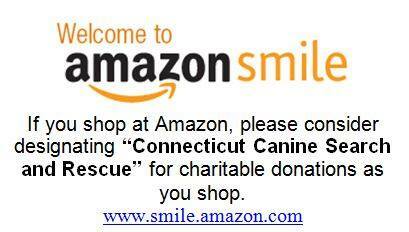 Visit Smile.Amazon.com and seek “Connecticut Canine Search and Rescue.” Thank you! 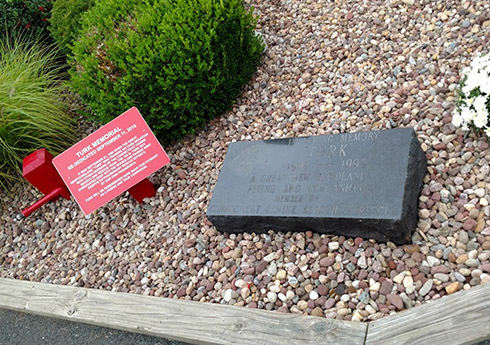 Manchester Fire Department, CERT, and CCSAR re-dedicated this beautiful memorial to past team K9 member Turk. 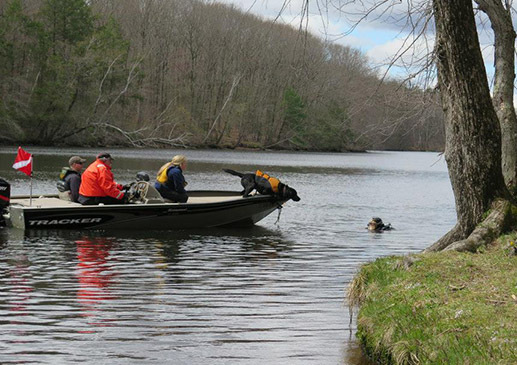 The West Woodstock Dive Team again supported training our K9s for searches beneath the surface of the water. 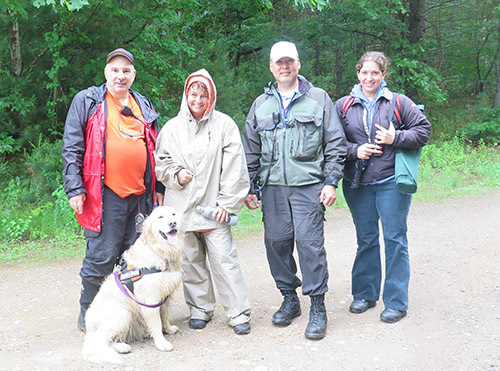 Team Knox and volunteers worked through a woodland problem despite some rainy conditions. 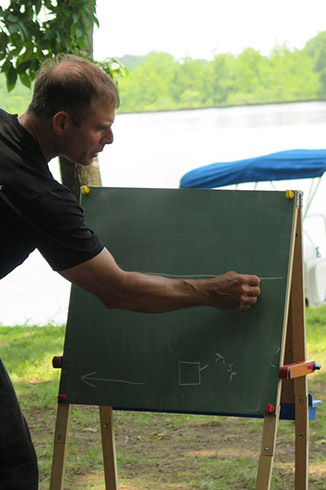 Master Training Matthew Zarrella provides some outdoor classroom work along with hands-on water training. 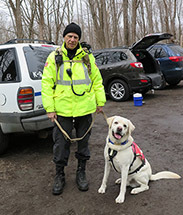 Team Sapphire brings her handler to the "missing people" she found, youth members who volunteer with the Connecticut Wing, Civil Air Patrol. 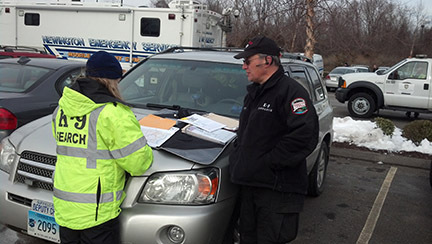 Manchester CERT instructor Greg conducts a training series for new and experienced navigators. 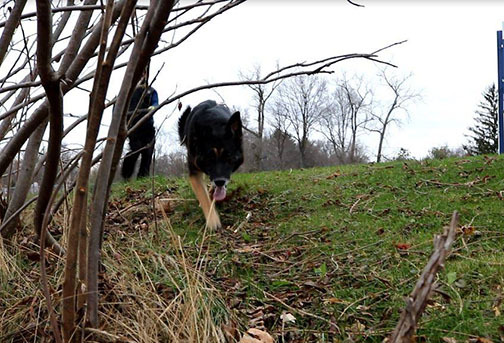 Team Turbo and backup set out to work a trailing problem in the woods at night. 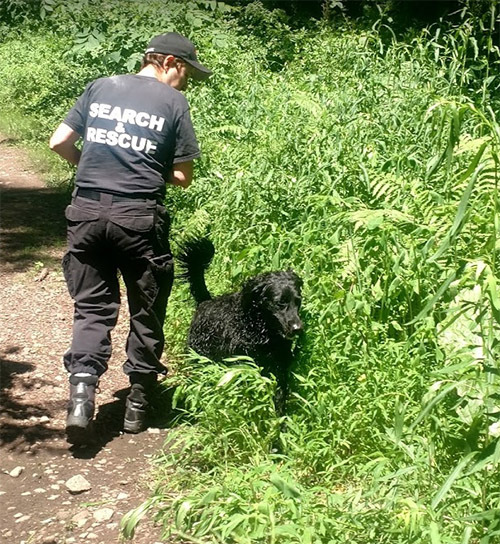 Team Ted works a woodland air scent sector and locates hidden subject. 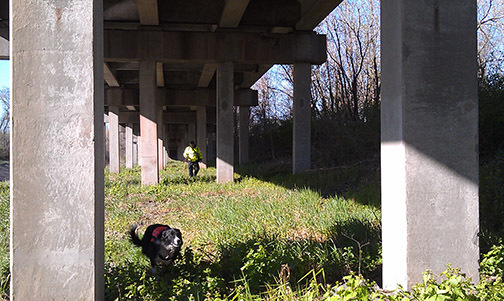 Trainee handler and Trudy practice trailing skills weekly. 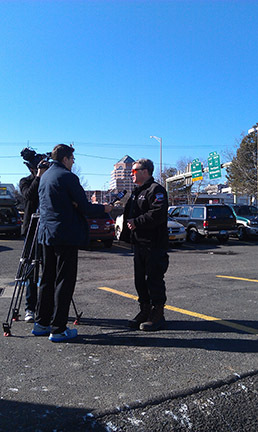 Team Rommel fine-tunes some skills and locates hidden subject. 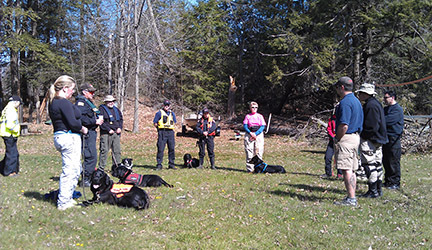 Master Trainer works with K9 handlers from around the country. 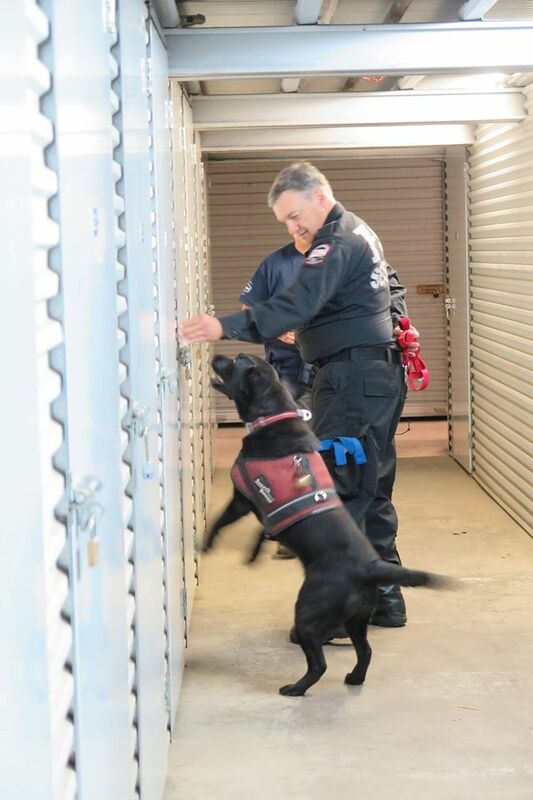 Another Master Trainer works with Team Chloe in a storage facility. 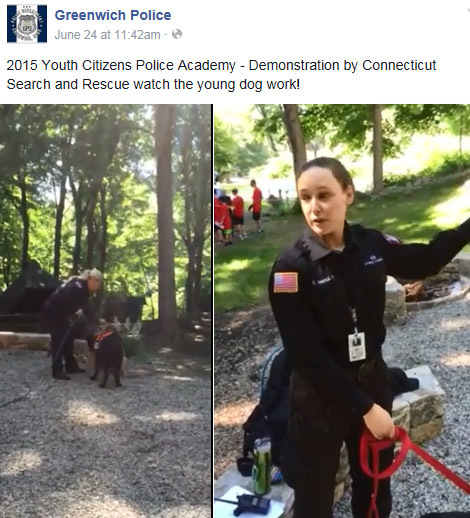 Team Maggie and Team Zeva teach students and demonstrate how K9s work. 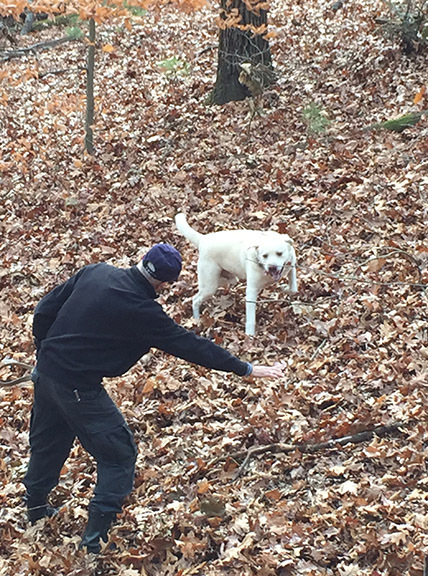 Team Clancy makes an air scent find and is rewarded with play. 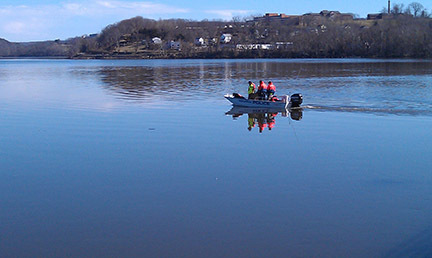 Team Ted actively works a body of water. Team Turbo prepares to begin. 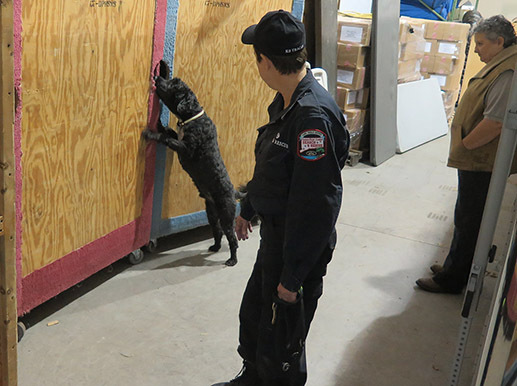 Team Tracer prepares for their air scent recertification. 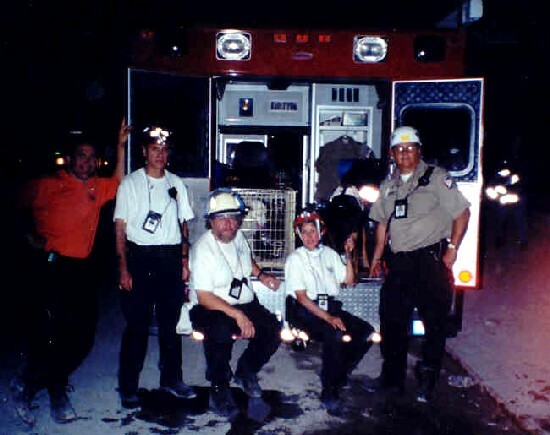 Night Training with full CERT and Mountain Bike support. 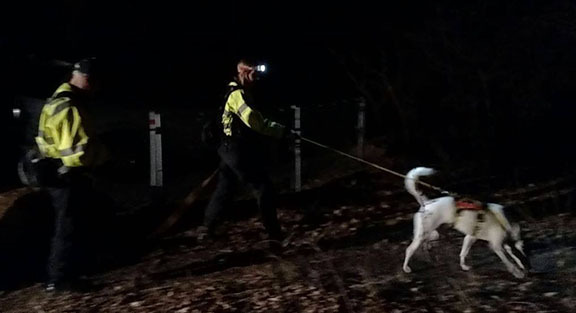 Numerous K9 and Mountain Bike teams work together to search a large woodland area at night and process full paperwork. Team Rommel begins despite wintry conditions. 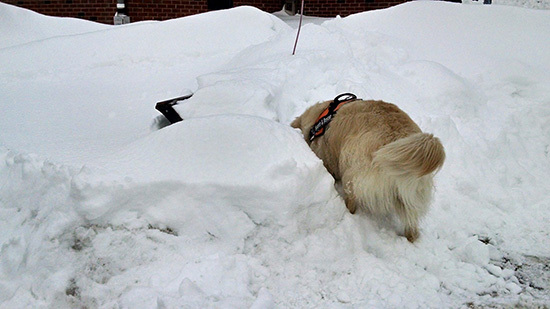 Team Knox doesn't mind the snow at all. Team Rommel works a different problem. Additional training under a Master Trainer. 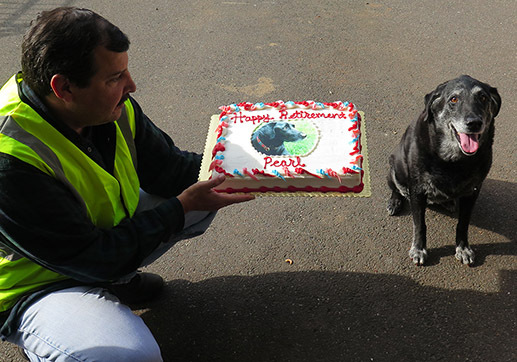 Pearl's handler and family hosted a very nice retirement ceremony. 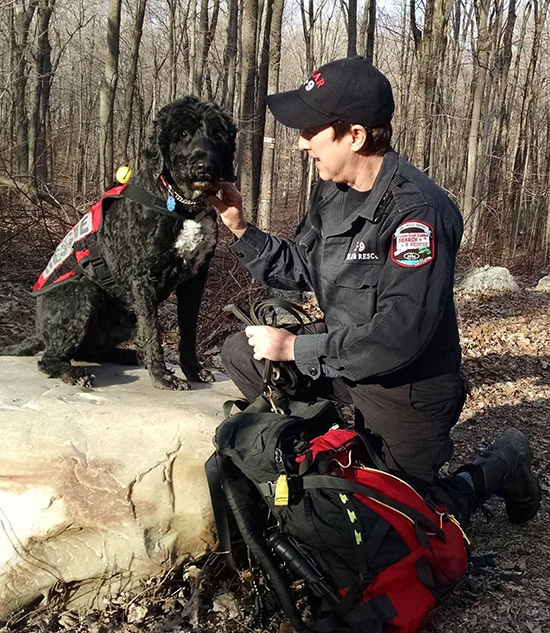 CCSAR thanks Pearl for many years of service. 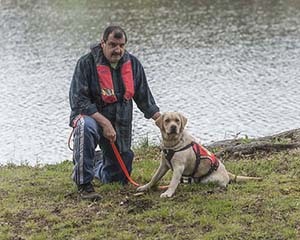 CCSAR conducted advanced training under a Master Trainer. Team Tracer works a different problem. 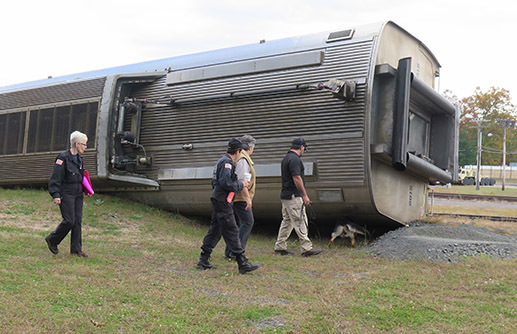 Team Rommel works a derailed train scenario. 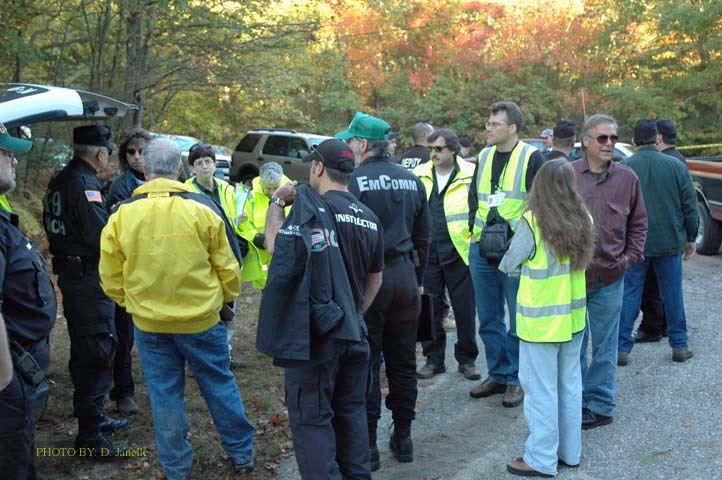 CCSAR conducted a professional water training seminar. 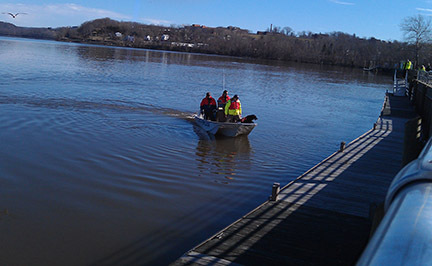 A participating team heads to work. 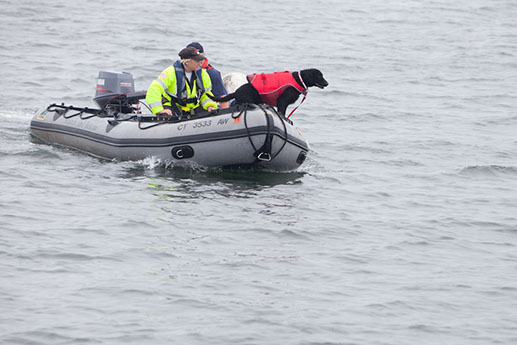 CCSAR conducted additional water training under a Master Trainer. Team Ted works a different problem. 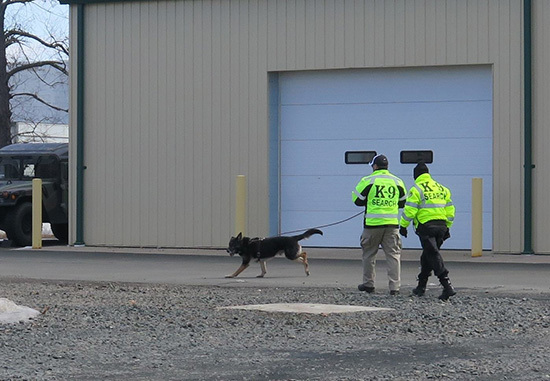 CCSAR conducted multi-discipline training using varying scenarios and distractions. 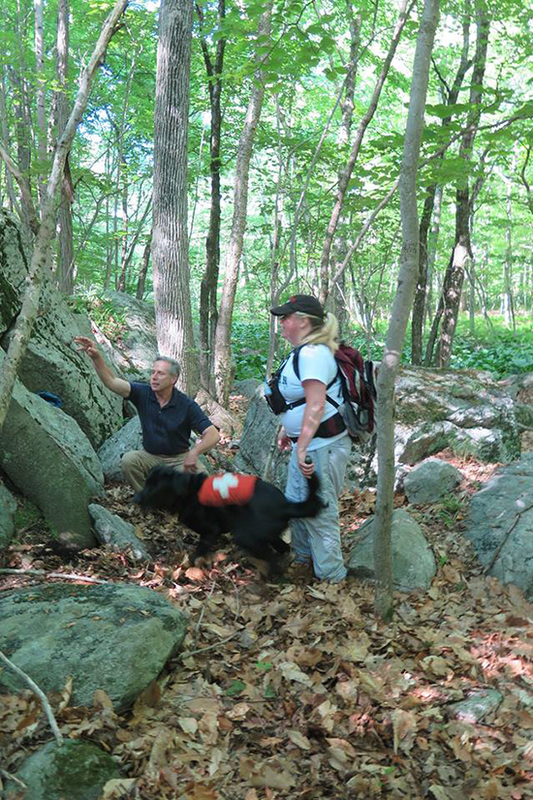 Team Zeva works a challenging problem and is rewarded for success. 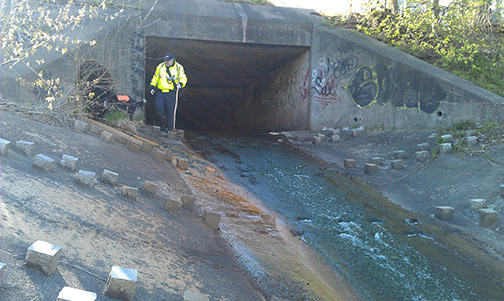 CCSAR conducted spring water training in conjunction with the Berlin Police Department's Underwater Response Unit. 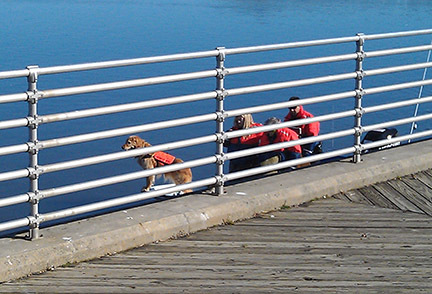 Divers help Team Clancy polish his skills. Winter training is still necessary. 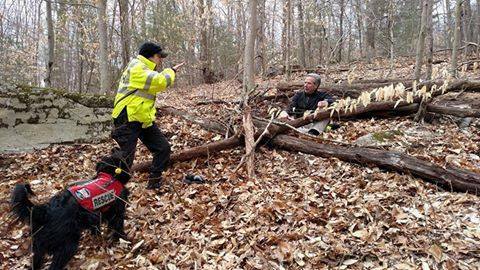 Manchester CERT works with CCSAR conducting woodland training. The long winter provided time for various courses. 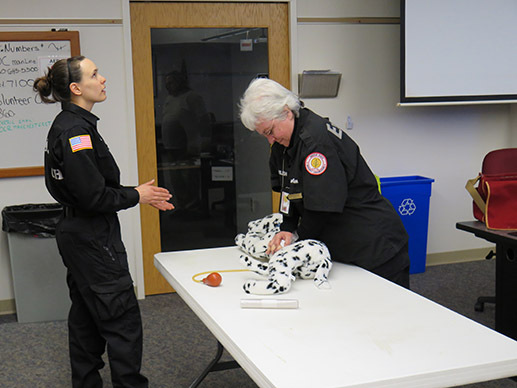 Lindsey instructs a volunteer in Canine First Aid. 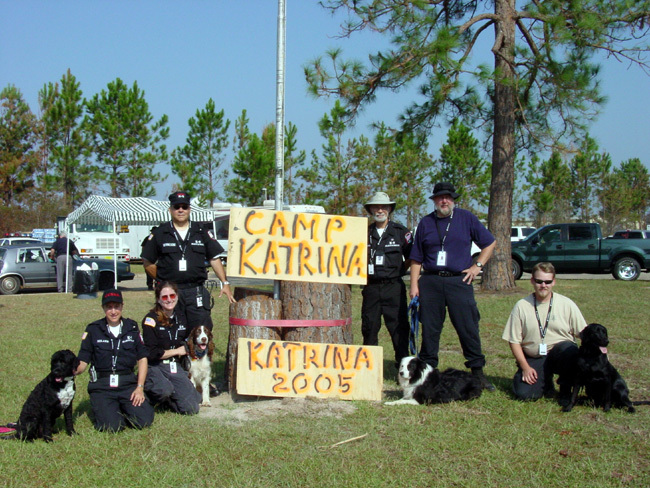 Numerous members were certified. 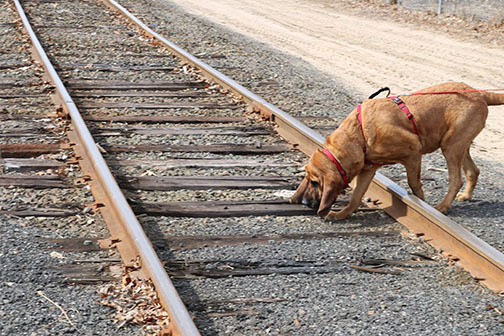 Not all training involves hands-on work with the canines. 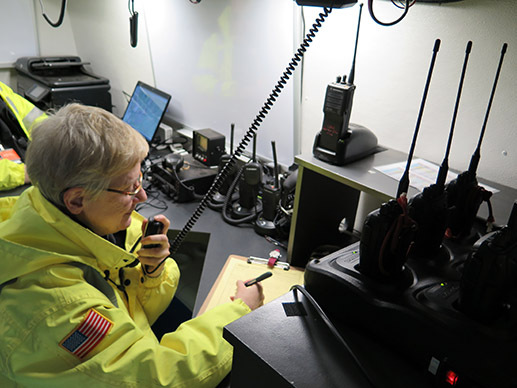 Marilyn practices her skills managing base operations. 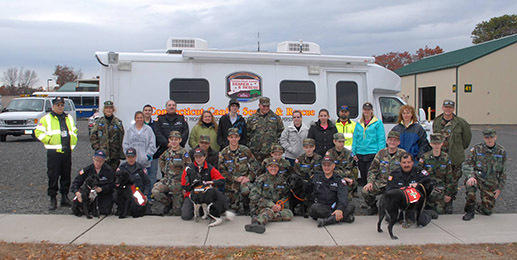 CCSAR trained with members of the Civil Air Patrol utilizing the unique scenarios available. 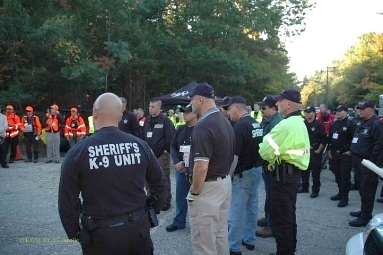 CCSAR was called to assist in the search for Abigail Hernandez and utilized a variety of techniques. 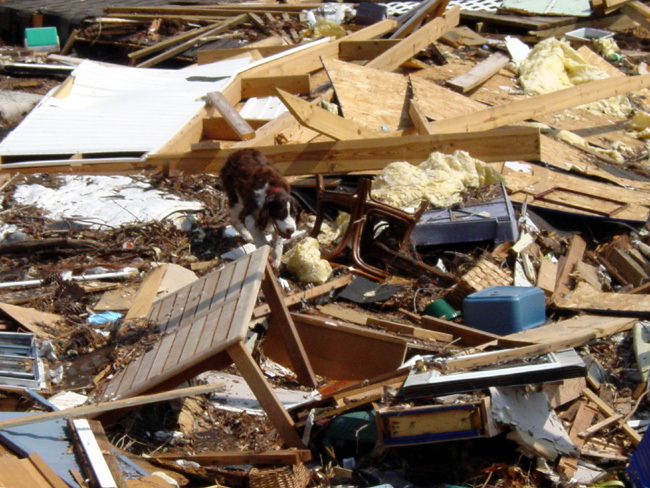 We worked with numerous local resources. 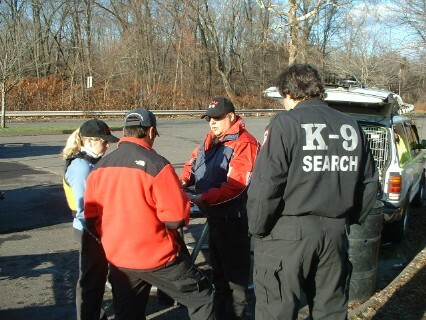 CCSAR conducted specialized training with the Greenwich PD and South Beach Volunteer Fire Dept and Dive Team. 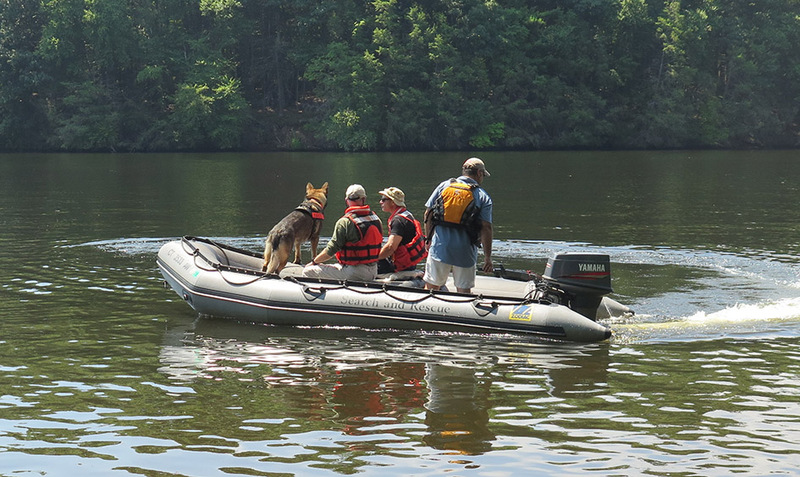 Team Sapphire practices water search. 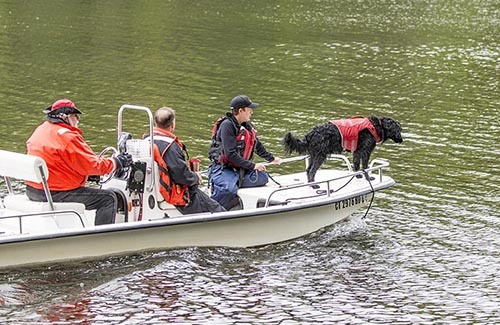 CCSAR conducted training with the West Woodstock Dive Team, part of the Woodstock Volunteer Fire Association as part of regular water training for the dogs and handlers. 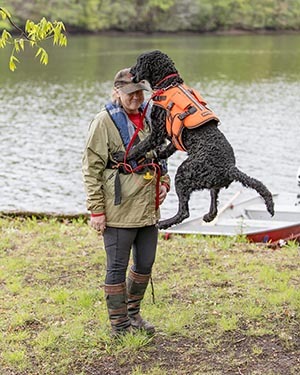 Young Knox learns that people can be in the water, thanks to this diver and a food reward. 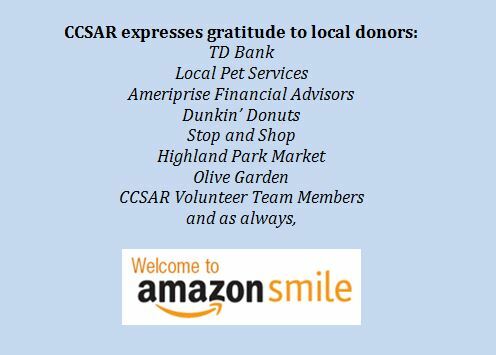 CCSAR assisted the Rocky Hill Police along with Connecticut State Police and additional police and emergency response teams from many surrounding towns. 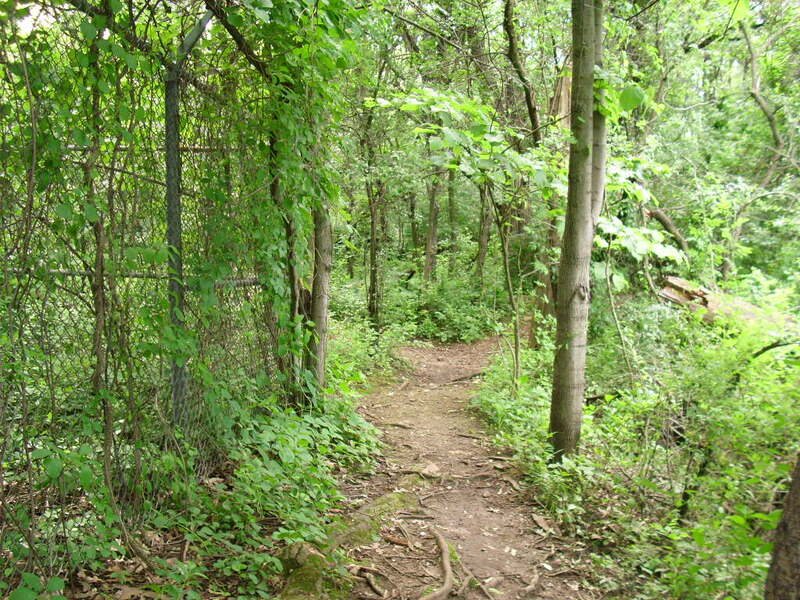 A 92 year-old man had not returned from his daily walk. 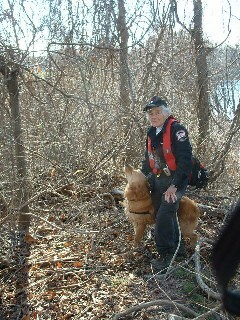 Two CCSAR Canine teams were deployed as part of this search. 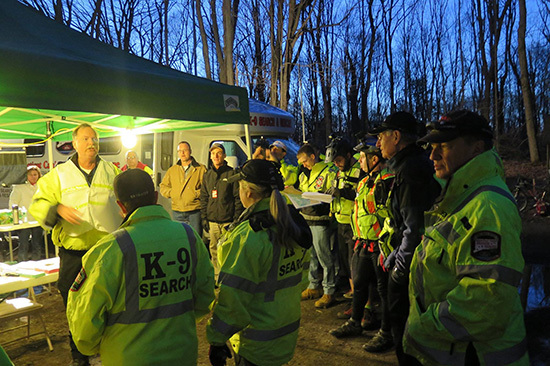 CCSAR was called to assist the Coventry Fire Department and Police to search a large wooded area near a missing mother's home. 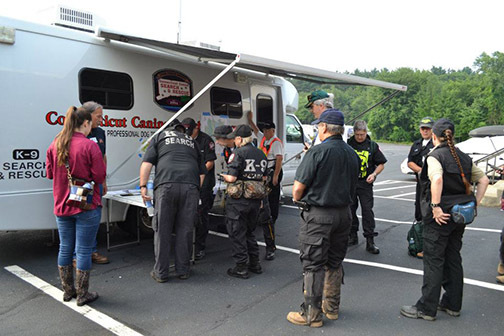 Mulitple CCSAR teams were deployed in both trailing and air scent, along with Manchester EmComm resources. 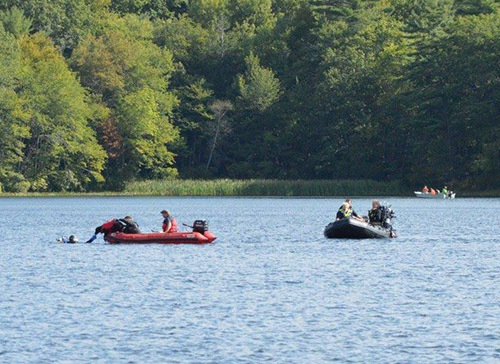 CCSAR was called back to follow up on the ongoing search for Melanie Melanson. 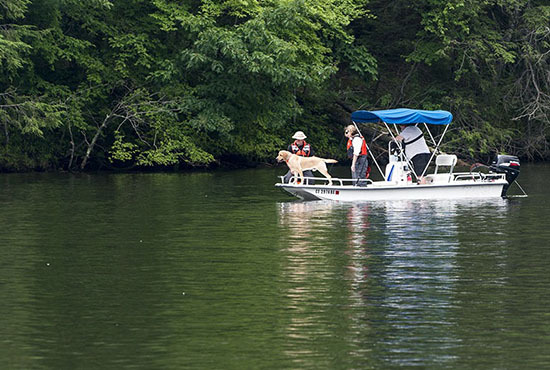 The Police continue to seek new information that will lead to Melanie's recovery. 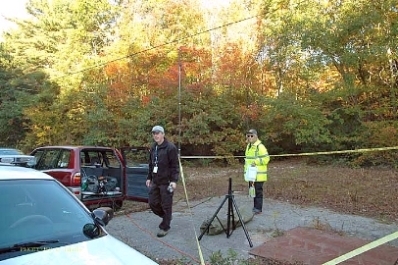 Mulitple cadaver teams were deployed including members of Manchester CERT and EmComm teams. 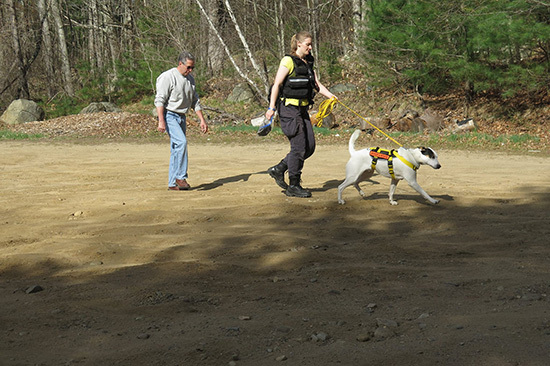 CCSAR was called back to to participate in a forensic dig in an area where multiple dogs showed interest. 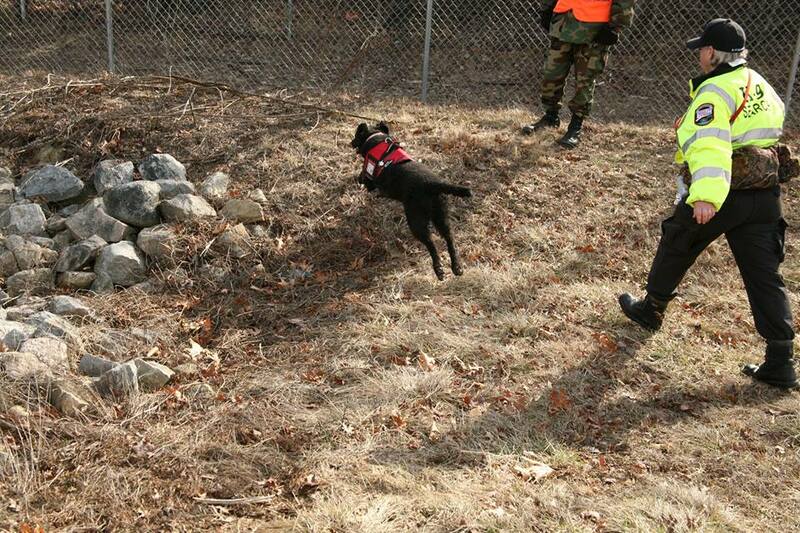 Team dogs did alert and forensic soil samples proved positive for human decomposition. 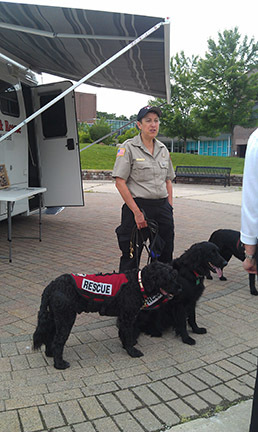 CCSAR provided canine models and speakers at the Melanie Rieger Conference held at Central Connecticut University. 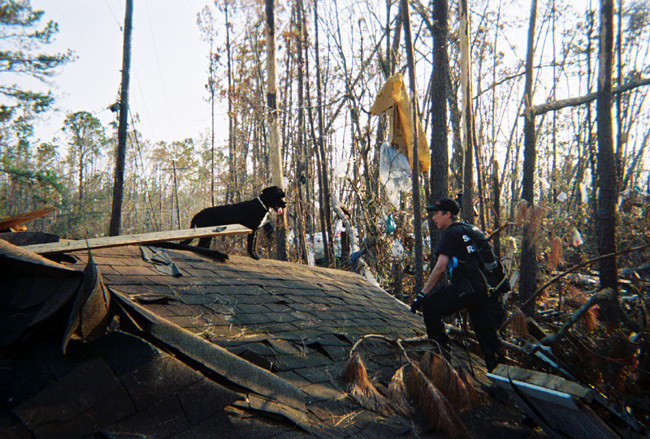 The conference provides education and support for victims of crime. CCSAR speakers provided information about the team's work locating evidence on unsolved murders. Marian answers questions including "Yes, you can pet Teddy and all our dogs." 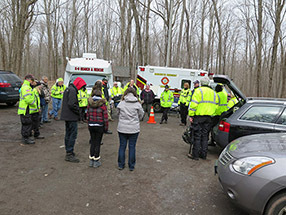 CCSAR was called to assist the Hartford Police in the search for a teen whose health might be at risk and was thought to be in a particular area. 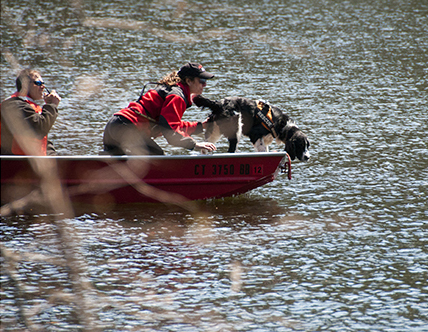 CCSAR held a Clinic in Water Search with Master Trainer Matt Zarrella. 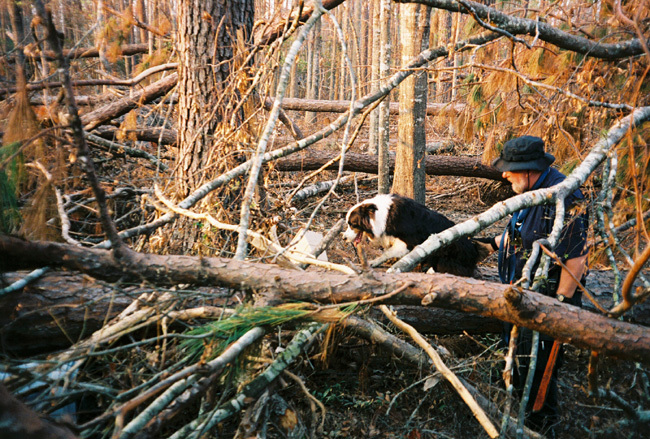 Both handlers and canines benefitted from his knowledge and enthusiasm. 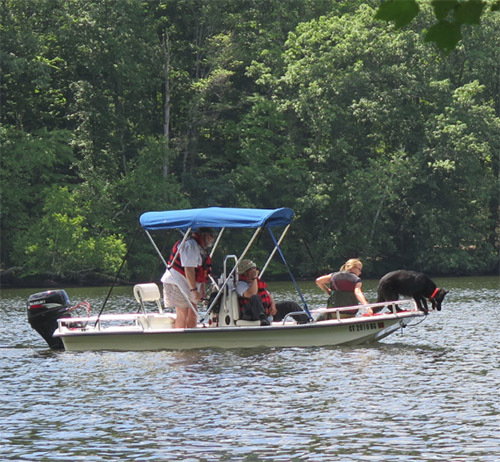 It was also a good opportunity for team members to practice their boating skills, which must be delicate for this duty. 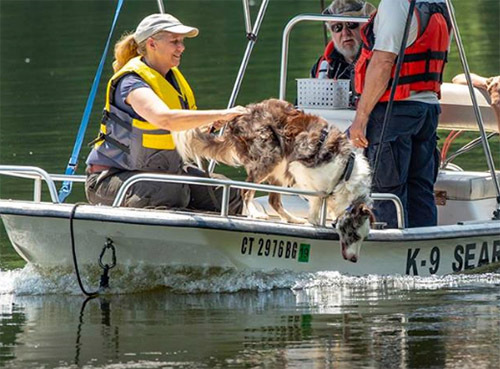 The Middletown Police requested CCSAR canine teams to search the Connecticut River where a local woman was hoped to be found. 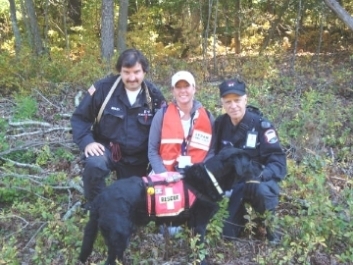 The First Company Governor's Horse Guards became Connecticut's only Mounted search and rescue team, thanks to the leadership of CCSAR. 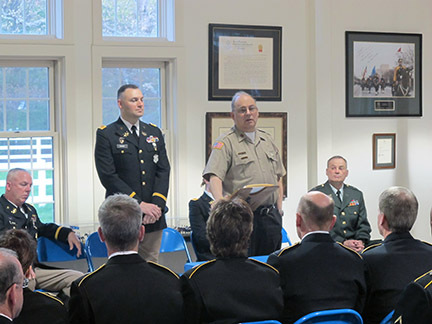 18 volunteer troopers completed over 200 hours of training in navigation, search techniques, first aid, crime scene preservation, and more to accomplish this. 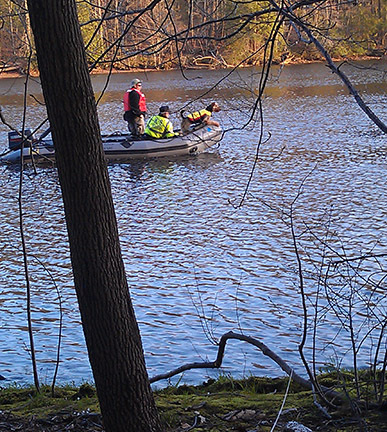 CCSAR searches along the Farmington River for a missing person.